Overview: 5x3, 15 fixed lines slot features Wild symbol, Scatter symbols which trigger Free Spins. The Bonus Game will puzzle you – you’ll get to play a slot inside a slot! Visit your favorite Pub with good drinks behind the counter and nice garage band to listen to. The game features Wild, Pint, Scatter and B+O+N+U+S symbols. 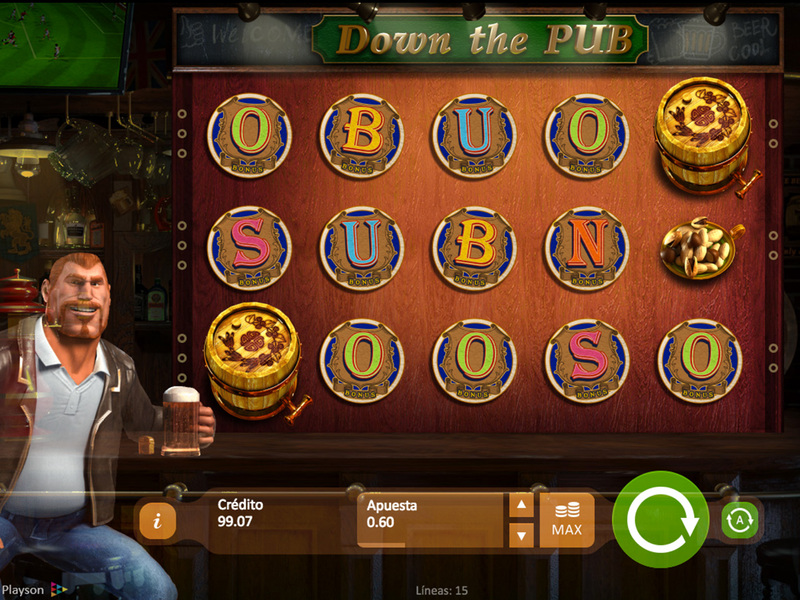 3 Scatters trigger Free Spins where you have to keep track of the Pint of beer. And the B+O+N+U+S symbols will trigger the Bonus Game where you get to play a classic fruit machine often met in old pubs. Cheers! Wild symbol substitutes all symbols, except Scatter and Pint symbols. 3 or more Scatter symbols trigger a series of Free Spins. During Free Spins additional Free Spins cannot be won. 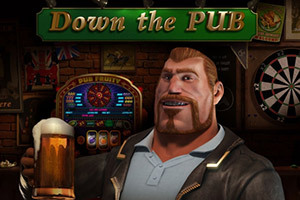 The number of Free Spins depends on the number of special Pint symbol appearance. After the 3rd appearance of the Pint symbol, one more Free Spin is played. Each appearance of the Pint symbol gives a winning of 10 line bets. It also grants a multiplier of free spins winnings. 1st appearance of the Pint symbol gives x2 multiplier; 2nd appearance of Pint symbol - x3 multiplier; the 3rd appearance of Pint symbol - x10 multiplier. Pint symbol appears only on the 3rd reel and acts as a Wild symbol. B+O+N+U+S symbols trigger the Bonus Game when shown in consecutive order on the reels. In the Bonus Game, there is a chance to play a classic fruit machine. It is a 3x3 slot with only one active horizontal line. 7 is a Wild symbol and substitutes all other symbols.